Ronald McDonald is welcoming more children to Portland. Ronald McDonald House Charities opened a new, expanded facility in the South Waterfront area last week, enabling the nonprofit to serve more youngsters who journey to Portland with their families for specialized medical treatments. 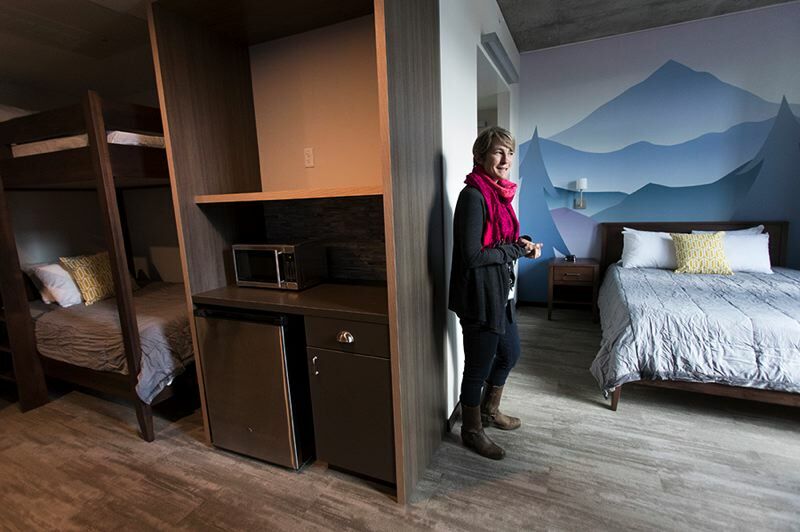 The new facility provides rooms for 38 families at the new OHSU Gary and Christine Rood Family Pavilion, conveniently located near Doernbecher Children's Hospital, Oregon Health & Science University and the Casey Eye Institute. It replaces the prior westside Ronald McDonald House at the Marriott Residence Inn RiverPlace, where there was room for 25 families. "We just want to stop saying 'no' as much as we have been," said Jessica Miller, CEO of the charity's Oregon and Southwest Washington chapter. The new locale is "what I hope to be our final home for those families, and definitely the most beautiful," Miller said. Ronald McDonald House provides guest rooms and services for families of children receiving medical treatments who need to stay in Portland for an extended period of time. Patients come from all around Oregon and other states and nations, with some families from Taiwan, Israel and Russia. The charity's goal is to provide "special, precious memories during a time that is absolutely challenging," Miller said. 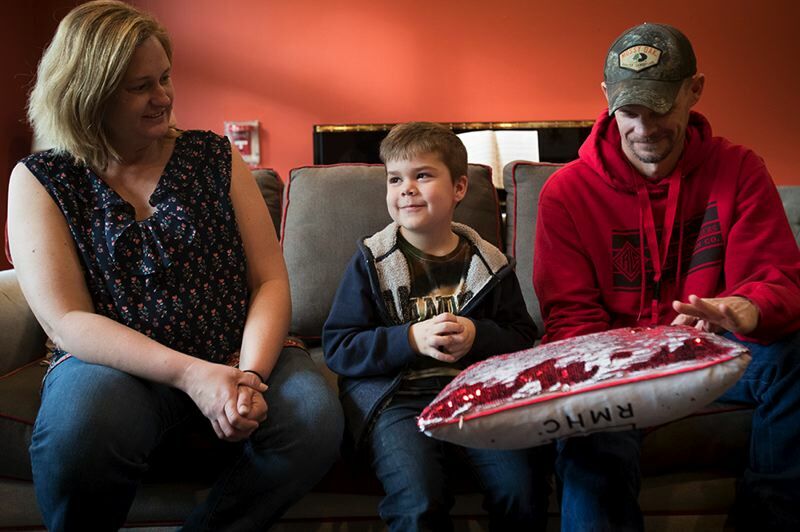 The increased capacity will help families like the Headings, whose 5-year-old, Samuel, receives treatment twice a year at Doernbecher for nephrotic syndrome. If not for Ronald McDonald House, the reality for the Headings would be "sleeping in our car to get our son treatment," said Erin Heading, Samuel's mother. Coming from the Medford area, the Headings previously had to stay in the charity's East House in North Portland, due to a lack of space at the Marriott. The new location, which formally opened Wednesday, Jan. 23, provides Samuel with the same home-like environment much closer to the hospital where he needs care. Miller is particularly happy about the proximity of the new facility to Doernbecher and the rest of OHSU's Rood Family Pavilion, named for donors Gary and Christine Rood. The pavilion includes the OHSU Centers for Health and Healing, where patients can receive outpatient treatment, cancer treatment, or other acute, ambulatory care. Looking out over the Willamette with both Mount St. Helens and Mount Hood visible on a clear day, the new facility is "a building of zones," Miller said. The seventh floor, known as Main Street, has two full kitchens for the families, with enough space for both volunteer groups and families to cook. "There's a Top Chef competition coming," said Tracy Brawley, an OHSU media relations specialist. Main Street also features a rooftop garden and playground. "Our summer barbecue is going to be off the hook," Miller said. Inside, there are multiple game rooms along with Ronald McDonald House's famous Toy Store, where every child receives a token "to go shopping." The seventh floor also is the location of the South Waterfront house's Wishing Tree, designed by artist Hilary Pfeifer. 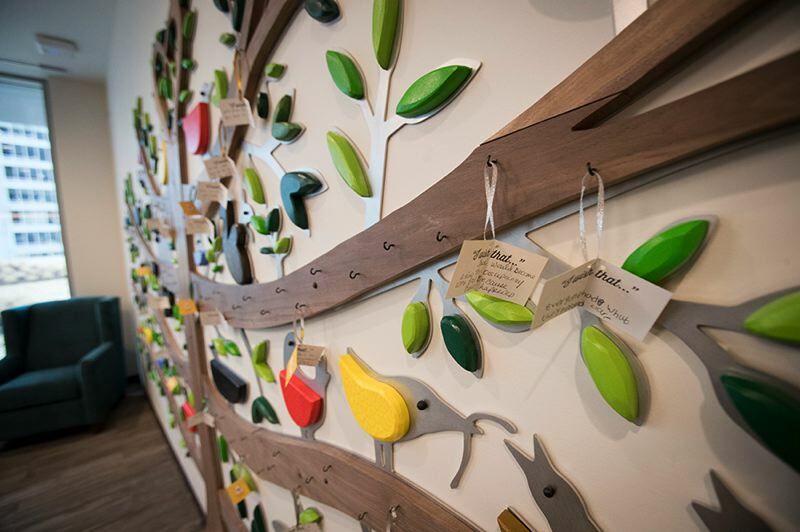 Each Ronald McDonald House has a Wishing Tree, where parents and children alike can write their wishes, whether it's a "pet squirrel or a cancer-free world," Miller said. The charity served 1,825 families at three Oregon Ronald McDonald Houses last year, for a total of 17,917 nights. In addition to the Southwest and North Portland houses, there is one in Bend, plus a new one opening this year in Springfield. In the same building as the Ronald McDonald House, the charity is contracting with OHSU to provide services for an additional 38 adults who need medical care, along with their families. Those families are on floors 10 and 11 of the building. Ronald McDonald House is viewed as a specialist in serving children visiting for medical care, so was commissioned by OHSU to provide similar services for adults journeying to Portland for extended stays for medical care, said Kate Baldwin, senior director of development and communications for the local charity. Children accompanying those families can use the facilities offered to youth at the Ronald McDonald House, she said. The new facility, influenced by the design of the Seattle Cancer Care Alliance, includes free parking for all residents and four floors of living spaces. Floors 8 and 9, where the pediatric families are housed, are decorated with murals by artist Amy Ruppel, designed around the themes of the river and the forest. As an alternative to sleep-in arrangements at the hospital, the more home-like environment of the house helps "to keep everybody sane and healthy," Brawley said. Many residents stay for long spells. Reina Quijada and her three children have been living in the East House since October while her son, Eduardo, 10, receives treatment at the Kartini Clinic — treatment Quijada said he would not receive if not for the Ronald McDonald House Charities. The Bend residents primarily speak Spanish, and have been aided by the charity's Spanish-speaking staff. Quijada and her children were able to spend the holidays in the house. With tears in her eyes, she said her children "pasaron feliz la Navidad" — had a merry Christmas — and this year was the best her children ever had. Eduardo, Sergio and Alexa received "una grande, grande" box of Legos, larger than their father was able to afford, she said. Both Qujiada and the Headings agree that the Ronald McDonald House created a "sense of home." For those and other residents, Wednesday, Jan. 23, marked the first night in their new home. For details about Ronald McDonald House, visit: www.rmhcoregon.org.